We know we should maintain good posture to help prevent back and neck pain. But do you know why posture is so important? Our Leeds Chiropractor explains. Most people are sedentary in their jobs and this article will focus on maintaining good seated posture. Take a look at the picture below, on the left is the posture most of us assume at work and on the right is how we should sit. Our spines are designed to resist loading in the axial plane, which is directly downwards from the top of the spine to the bottom. When you sit in a forward hunched position (we call it flexed), you put additional strain and pressure on the ligaments of the low back and the intervertebral discs. This can lead to irritation and inflammation in the lumbar disc, facet joint, ligaments and muscles. Forward movement of the neck, or anterior head carriage, again puts additional stress on the joints and muscles of the neck and the shoulders. In more severe cases you may also experience pain or pins and needles into the arms and when this occurs it is definitely time to see a chiropractor. For every inch that your head goes forward it places an additional 4.5kg weight on your neck. It is no wonder then that I often see patients with anterior head carriage complaining of constant neck pain and headaches. Note also on the right the slight angle of the thighs downwards; this decreases the pressure in the low back and pelvis. Adding a seat with arm rests can significantly reduce the pressure and load on the low back because it spreads some of the bodyweight through the arm rest. Using a lumbar support will also reduce pressure on the lower back and these can either be purchased relatively cheaply r you can improvise with a rolled up hand towel. For further advice on how to improve your posture please call 0113 347 2801 to make an appointment at Revive Chiropractic with Alison. 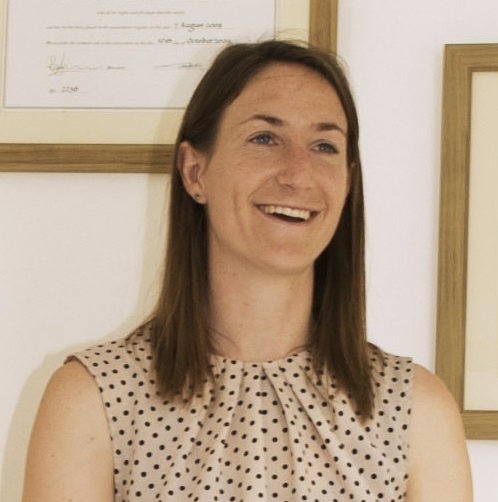 Alison Eaves is registered with the General Chiropractic Council and the British Chiropractic Association. This is another great exercise to help with neck pain from Leeds chiropractor Alison Eaves at Revive Chiropractic. Take your neck through its full range of motion. Even if you experience mild to moderate pain it is often beneficial to keep joints moving. • Drop your chin down to your chest as far as you can and then do the opposite and look up to the ceiling. • Keeping your shoulders relaxed and facing forwards look as far as you can over the left shoulder and then the right. • Now try to touch your ear to each shoulder. Don’t worry if you can’t move it too far but don’t cheat and bring the shoulder up to the ear. • Gently bring the chin towards the armpit by putting gentle pressure on the head with the arm on the side you are turning your head towards!